Wondering how to secure a US Tourist Visa? Have you ever wanted to apply for a US tourist visa, but have been hampered by horror stories of being denied one? Ever wondered what it is the consular officers are looking for in a visa application to actually approve it? Why do very similar (sometimes even identical) applications get different results? Anyone who wants to travel to the United States (US) as a tourist needs to have a valid US tourist or B1/B2 visa to enter the country. 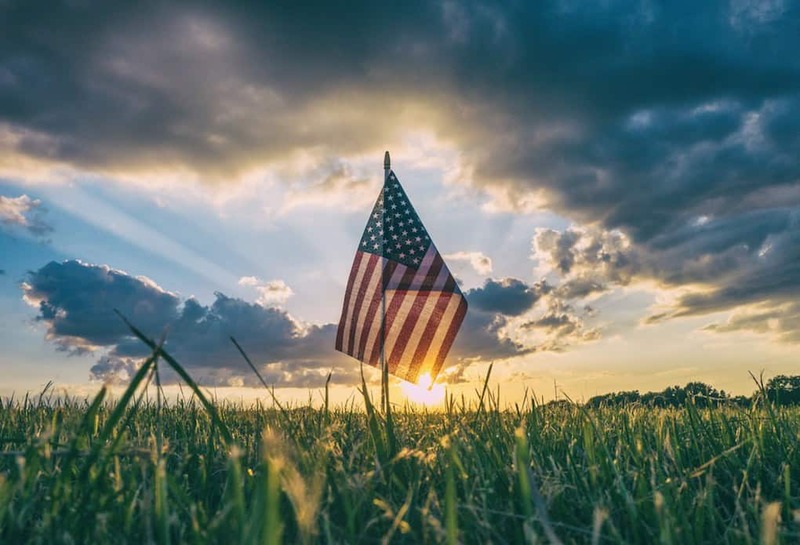 Sadly, for most people, applying for a US tourist visa has always been shrouded in mystery and fear — what with all the myths, urban legends and half-truths going around about the visa application process. Rumours of a particular consular officer at a particular window at the embassy who never approves any visa application; or consular officers who base their decisions on their mood for that day, day of the week, or the applicant’s nationality, appearance, etc. make applying for a tourist visa more daunting than it should be. Note: This series is written with Filipino US tourist visa applicants in mind (based in the Philippines), but applicants from other countries may also find these articles useful. If you can prove this point to the consular officer interviewing you at the window, he or she will have to issue you that elusive tourist visa. For clarity’s sake, “country of origin” is the country that issued your passport. For dual citizens, it’s the country that issued the passport you’ll use to apply for the visa. You can present your first class return flight tickets; but without proof that you have strong ties to your country of origin, your visa application will 100% be denied. 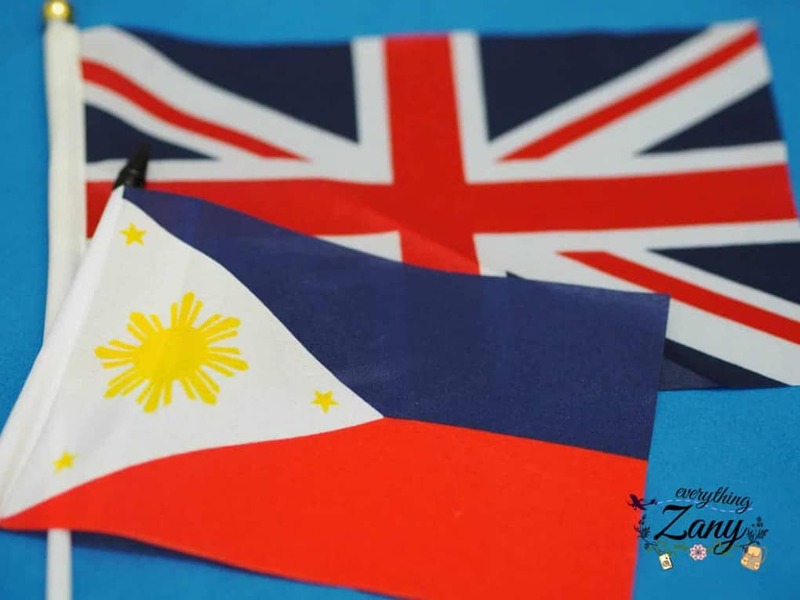 To show that you have strong ties to your country of origin, you’ll have to prove that you have very strong SOCIAL, ECONOMIC, PROFESSIONAL, and FAMILY ties in your country. These ties have to be so strong that the consular officer will believe you will definitely return to your own country after your short visit to the United States. Of course, these claims of strong ties will have to be backed up by LEGITIMATE and EASILY VERIFIABLE documentation. No, you don’t have to know your country’s history forwards and backwards. They’ll not quiz you on the lives of your national heroes. And please… no bank documents showing exorbitant amounts in deposits! If you can’t prove the source of those funds, those “doctored” or borrowed-at-an-interest bank documents will do you more harm than good. Because each applicant’s circumstances at the time of application are different from another, there’s no specific document list to prove your ties to your country of origin. Also, remember that consular officers have a limited time at the window to make a decision about your visa application – it is better to present a few documents that contain pertinent information about your status and intent (see list above) than bury them in random documents that don’t prove anything. For example, affidavits and letters from individuals other than your host(s). I must remind everyone to NEVER EVER present fake documentation. I cannot stress this point enough. The Embassy has investigators and checkers that watch out for fake documentation. Yes, they know what fake documents look like, so don’t even try it. You’ve been warned. There are very serious consequences when you get caught. Before anything else, you’ll have to pay the application fee. You’ll need to print the visa fee deposit slip and bring it to any BPI branch with the appropriate visa fee. 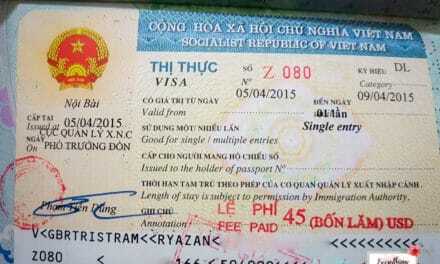 As I write this, the current fee for a non-immigrant visa is 160.00 USD. The actual amount in pesos would depend on the current rate at the bank at the time of payment. For the most current visa fees, see the Embassy’s page on visa fees. If you’re the techie type and like to do everything online, you can also pay your visa fees that way through a BPI Online or a BancNet Online account. Next, fill out the online application form DS-160. Make sure all the information is accurate, correct, and 100% honest. TIP: Make sure there’s no need for corrections by the time you print out your DS-160, as you won’t be interviewed if there’s even a little bit of inaccuracy or incorrect information there. Pay attention to the spelling of names, addresses, and previous travel dates. You’d think nobody would get their own names misspelt, but typos can happen, yes? Once done, take note of the ten-digit barcode number on your DS-160 confirmation page, as you’ll need it for the next step. Now you can schedule your visa interview date. You have the option to do this online or through the Embassy’s Call Center. TIP: Plan to schedule your interview well in advance of your travel date (probably 3 months is enough lead time), as you may have to wait for an available schedule slot that’s also convenient for you. 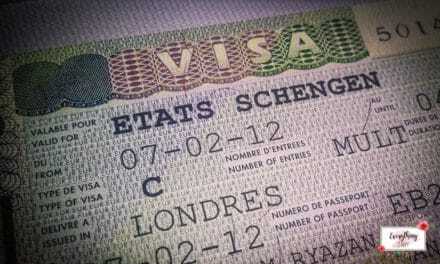 Remember that summer and Christmas holidays are always “high season” for visa applications. Attend your visa interview on the date and time you scheduled. TIP: You don’t have to be in line outside the Embassy at the crack of dawn on the day of your interview. According to the Embassy, 15 minutes lead time is all you need! If you show up too early, you’ll just end up waiting outside until it’s 15 minutes before your scheduled interview. Still, we’re Filipinos, and we always want to show up early for important days like a visa interview, just so we don’t miss anything! So if you don’t mind waiting outside on the Baywalk between Roxas Boulevard and the Manila Bay, go for it and show up as early as you like. All types of electronics – these include (but are not limited to) cellphones, tablets, electronic readers, pagers, chargers, mp3 players, etc. Okay, so now, you’re through the Embassy’s very strict security inspection. What’s next? Well, there are three more steps! It’s time to meet the Embassy Pre-screeners and Greeters! They’re the ones who will guide you to the interview waiting areas. They’re also the ones who will double-check and confirm that all the information in your DS-160 are true and correct. TIP: Again, make sure your DS-160 has no errors. I can’t stress this enough, as you may end up having to go out, correct the error, and either come back later in the day, or completely reschedule your interview! The pre-screeners will also check if your 2″x2″ photo meets the Embassy requirement. TIP: If your 2″x2″ photo doesn’t meet the technical requirement, there’s a photo booth inside the Embassy you can use to take your photo, so you won’t have to go out of the premises. Here is another tip to take perfect passport photos for babies. Next, the Greeters will ask you to either wait or queue up for Biometrics or Fingerprint collection. Once it’s your turn, an Embassy personnel will ask for your name and date of birth, and proceed to take your fingerprint scans. Listen closely to the instructions given by the fingerprint scanner on which hand or finger(s) need(s) to be scanned. Usually, it’s the four fingers on each hand first, and then both thumbs at the same time. TIP: Very dry skin on hands generally don’t scan well, and the Embassy personnel will not quit until they get a good quality scan. So if you have very dry hands, make sure you hydrate with any type of moisturiser. In some cases, wounds or allergies right on the fingertips may cause a delay in the visa approval. Note: Only applicants between the ages of 14 and 79 years are required to have their fingerprints scanned. … and many more possible questions! The succeeding questions really depend on your answers to the first few questions listed above. Don’t be surprised if the Consular Officer only asks you a few questions, doesn’t look at your documents, and then denies your visa. The DS-160 is a comprehensive form in itself – it’s possible the Consular Officer’s decision is based on the information in your DS-160 alone, or from your previous visa application(s), if any. In any case, due to the sheer number of applications, non-immigrant visa interviews don’t last all that long – sometimes, 3 to 5 minutes (if that) is all they have at the interview window per applicant. No worries, Consular Officers don’t deny visa applications just because they didn’t have enough time to spend on the interview. If your application warrants further review, the Consular Officer will tell you this up front and will advise you of when you can expect a determination on your visa application. If your application is denied despite all the documents you’ve presented and the seemingly innocuous and short interview, it means they found something in your current or past application(s) that made them believe your visit to the United States isn’t temporary in nature. If your tourist visa application has been approved, the Consular Officer will tell you at the window. All you have to do then is wait for the delivery of your passport with the approved B2 visa inside. This generally takes 5 business days. TIP: It’s good practice to mark (put sticky notes or paper clips) on the pages of your passports with visas and immigration stamps. It’s not required, but I’m sure the Consular Officer will appreciate it. Also, if the Consular Officer happens to ask you about your previous travel to whichever country, you’ll be able to find the appropriate page(s) easily, because they’re already marked! TIP: During the interview, be open and honest. Just relax. Remember that everyone at the Embassy – including the Consular Officers – are just people too, so there’s no need to be nervous about speaking with them during the interview. So there you have it – all requirements and the 7 steps on how to apply for US Tourist Visa! I hope you find the tips useful. The very best of luck to you! Note: This series is written with the Filipino U.S. tourist visa applicants in mind (Philippine passport holders), but applicants from other countries may also find these articles useful. Do you have a question about the US tourist visa application process? Please don’t hesitate to ask us! Done with your visa interview? Share with us your experience in the comments below! Manel is a freelance writer. Although new to blogging (believe it or not), she has extensive research and writing experience from her stint with a non-profit organisation, where she worked right out of University. She likes staying at home to read, when she's not taking long drives, travelling, or going on staycations. Send her a message at Manel.EverythingZany@gmail.com. Hi Jovelyn! There’s always a possibility of getting denied (or approved) for a visa, but the stronger your ties to your country of origin, the better your chances of getting approved. Being unemployed lessens your financial ties to your home country, so if you’d like to get approved for a tourist visa, you’ll have to show your financial ties in a different way — perhaps in terms of investments and owned assets. The best of luck to you, and please let us know how it goes. Hi Ms. Manel, I would like to ask is B1 visa the same type of B2 visa? Because last 2007 I was given B1 visa, now I’m applying for B2 visa. In DS 160 there is a question if I’m applying for the same type of visa? Yes or No? Hi Hanz! Tick “No”. B1 is a different type of visa from B2. Although they’re both for short visits, the purpose and/or nature of the visit is different. Goodluck on your application! Hi Miss Manel, my scenario is this – I’m currently employed for an Australian company that is based in BGC, Taguig. Been to Korea, Japan (twice), Bangkok (thrice), Singapore, Hong Kong, Macau, and Sydney. I was sent to Sydney for a training for two weeks. I also have a “cash – bond” that should I decide to resign, I will be required to pay the cost of the training. I also have family members who are currently green card holders, my mom and two sisters. The very purpose of my visit it to attend the church conference in Florida for 5 days and spend some time with my mom and sisters who are residing in LA, Cali. I will fole for a10 days annual leave. Question is, what are the chances that I will be granted a US Tourist visa? TIA! Hello Manel. Thanks for the informative blog. I’m unemployed for a year now as I’m taking a break from working overseas to spend time with my family and friends. My recent work for the last 5yrs were all overseas (SG and Japan), and right now I’m waiting for the approval of my working visa in UAE. Will my overseas employment lessen my economic ties in PH? I’m single, mid 30’s and would like to visit my bf in US while waiting for my working visa in UAE. Appreciate your thoughts. My auntie is a german citizen who’s husband is a US Navy wanted my another auntie to visit her. That auntie is just a sari sari store owner, do you have any tips in mind that will be helpful. Thanks ! Hi Chums, Does your auntie can prove a strong economic ties in PH? Hi Chums! If your auntie is a German citizen (German passport holder), then she doesn’t need to apply for a U.S. tourist visa. German citizens can enter the United States on the Visa Waiver Program. For more information, read our blog post about the ESTA or Electronic System for Travel Authorisation. Hi Alona! A tourist visa application can always go both ways, but based on your description, a fair consular officer will approve your tourist visa, as long as you can provide easily-verifiable documentation to prove that your stay will be temporary and that you have the capacity to finance your travel and stay in the U.S. During your application, be honest, forthcoming and relax. Goodluck! Hi! I would just like to know regarding ds160, my parents are planning to apply for tourist visa and both of them runs our business. What will i select in primary occupation since self-employed is not available? Thanks for your help! Hi Yvaine! If their occupation is not on the list, tick “Others”. They’ll be asked to specify and/or provide more information during the interview. Goodluck! Hi ff! It really depends on why the consular officer denied your visa application. If you were denied because of a lack of financial and social ties, then it would take more than strong family ties to get your visa approved. The Embassy says you can reapply after six months of your last visa application, but what that really means is that there should have been a significant change in your status since your last application. Whether it’s financial, social, employment, etc. depends on the reason you were denied in the first place. The best of luck to you on your next application! Getting a tourist visa is a very arduous task especially if you are a non-immigrant. Your blog is really helpful for those who are standing on the first step. You have broken down all the things in ascending stages. Thank you for sharing the blog. Hi Ms. Ryazan! I just want to ask, i have a job offer in Bermuda, what type of US Visa i have to get. I’m planning to get a B1/ B2 Visa as per my employer but would it be alright to apply for a Tourist Visa if I will just have a transit in US? or a Transit Visa is also okay? If i get the Transit Visa, is it a multiple entry? I hope you can help me with my query. Thank you. If you are just passing thru the US airports, I think the transit visa would be ok. 🙂 Good luck on your new work in Bermuda. Hi Melda, Since you are an OFW, if you have any employment contract on your current job I think it would be alright to submit that together with your application. Will this be a problem ? 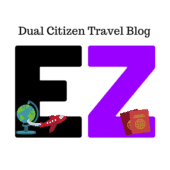 Thnks Mankel y. for this blog it helps me a lot to get a lot of knowledge about tourist visa and B1, B2 also. Hi, my mother in law is diagnosed with stage 3 uterine cancer, her prognosis is not good. my sister in the Philippines would like to come and visit our mother. They denied her a B2 visa stating she cannot prove a strong ties in the Philippines since she is not working but with a home, three kids and a husband in the Philippines. She wants to apply again how can she be approve the next time? Hi, im Kim and I’m planning to visit my boyfriend on December and I need your guidance, will I get denied if I mention that I will be going to visit my boyfriend? I work for a US company here in the PH as AR staff. what should I select as Primary occupation field in ds160 B2? should I select business? or select other and type my position? Please advise? Other question if I finished the form and realize that one option has a mistakes should I fill up a new one? Do you need two DS 160 forms to apply for B1/B2 visa or can one DS 160 form be used for B1/B2 single application. I want to know what can I use to sponsor my friend from Nigeria to USA on B2 visa? I have income but it’s not as much as required because I have big family what other documents can I use proving I’ll be paying for the visit to the USA! gud am. I am scheduled for interview this Friday Oct. 12. I am a government employee employed for over 20 years. I secured Certificate of employment with compensation and Service record from our HR. I have 3 children and i will be visiting my sisters in US. They have sent me letters of invite for me and a letter for the consul stating that they are inviting me and will be shouldering all my expenses while i am in the US. They also have sent me a copy of their passports as proof of their US status. I have also a humble saving of Php50k only. what do u think are my chances of getting approved? Hello there. I’m planning to visit US for vacation, B2 visa. As I’m currently unemployed and not studying, what should be indicated in DS 160 form in occupation section as it requires address and name of the employer/organisation and there is no option to leave it blank or indicate unemployment?